Do you have a baby shower or girl’s birthday coming up and you’d love to show up with a really special and unique gift? The burlap trend is big right now and one of my personal favorites. 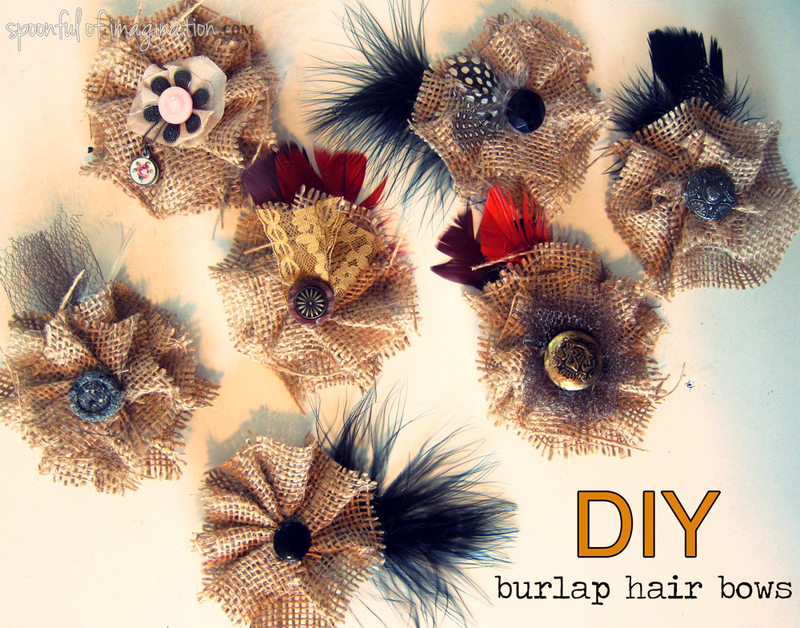 Today I’m going to walk you through some DIY burlap hair bows. I love how even after you “master” making one style, you can do small changes to make several of those hair bows all different from one another. 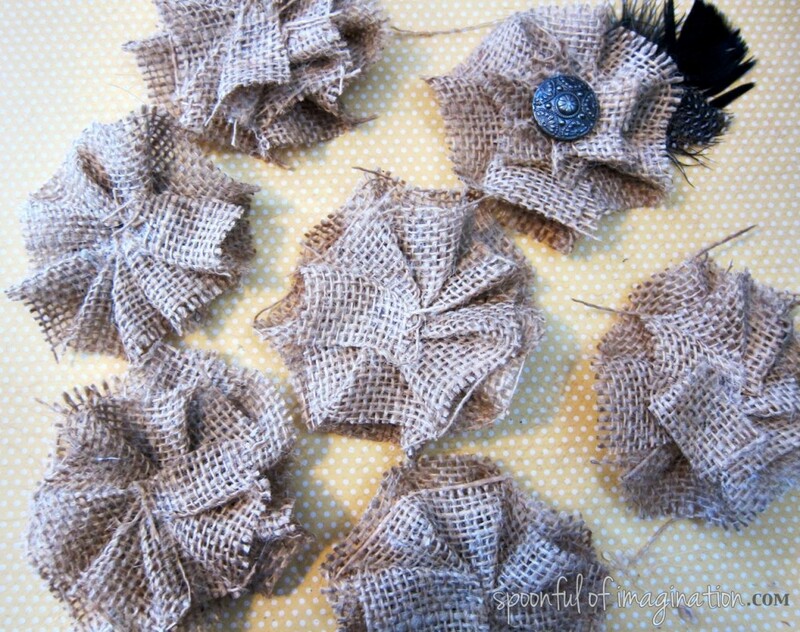 For example, these burlap hair bows are all made with the same method, but the finishing elements gives each one a different look. The felt squares will help save your fingers from being burned by the hot glue as it acts as like a canvas to hold your hair bow. You begin with one felt square and a piece of burlap. 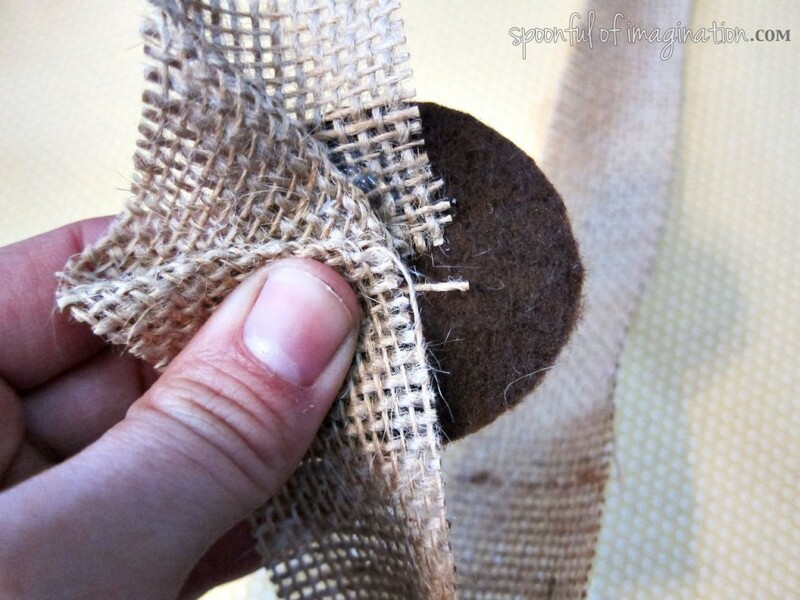 Add a little hot glue to the outside edge of your circle and stick the end of one of your burlap strips on it and press it tight together. Give it a few second to “set”. 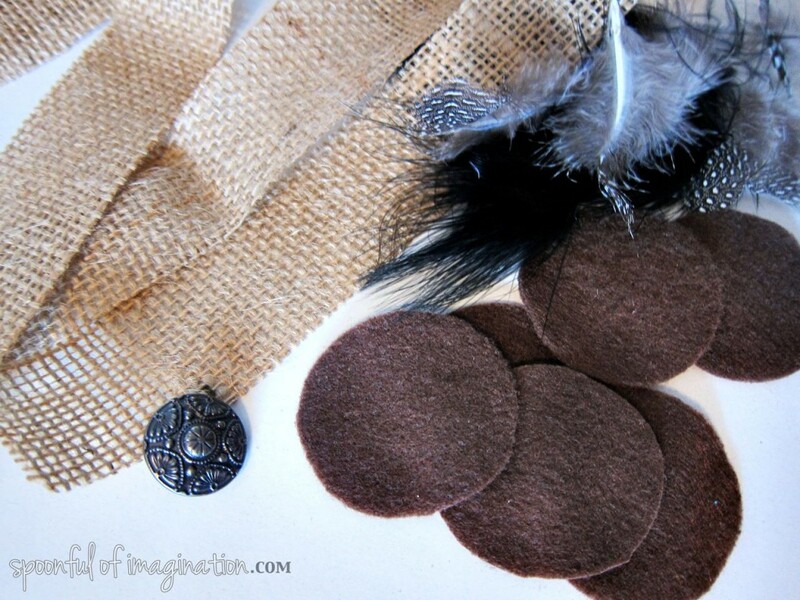 Depending on how far down you start gluing your burlap on your felt square and how wide your burlap and felts circles are, will determine the actual finished size of your hair bow. Mine are all a little over 3″ across. 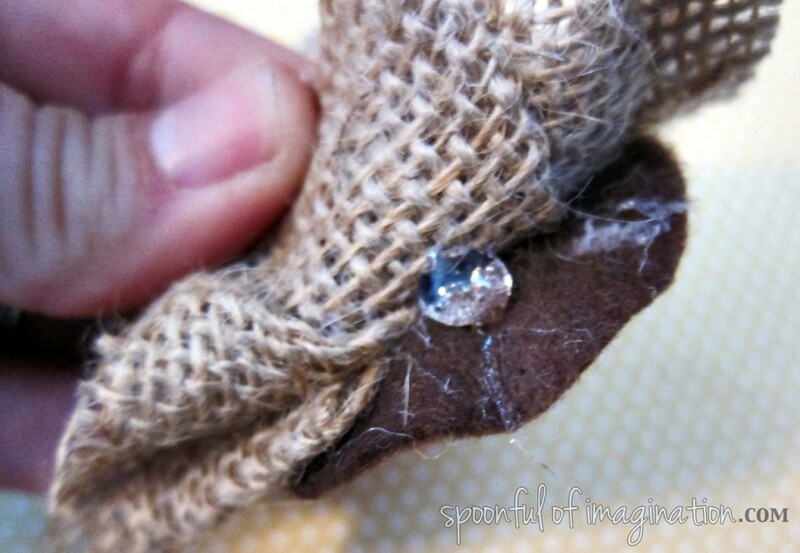 Next, add a little glue on top of your burlap in about the same spot you glued the burlap to the felt. 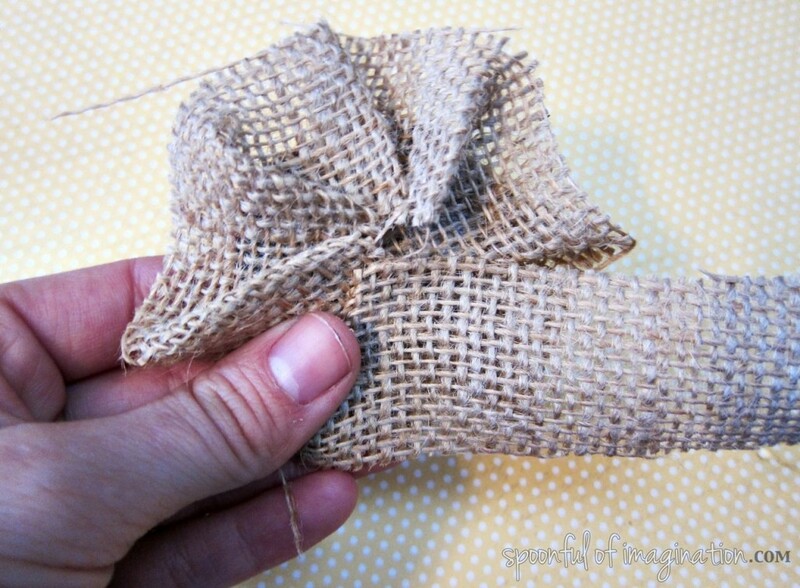 Fold your burlap slightly over and press it for a few seconds into that hot glue glob so it “sets”. 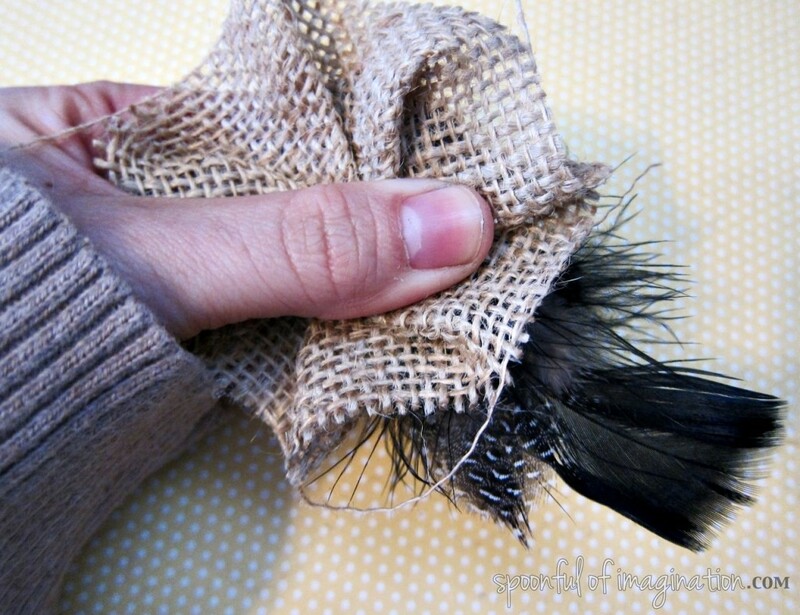 This will step will start to create a slightly ruffled look. Once it has “set, you add another glob of glue on the end of that ruffle. You keep doing this step all around your piece of felt. There is no need to fully make sure each “fold over” is glued more than to just the top of the fold in line in front of it. 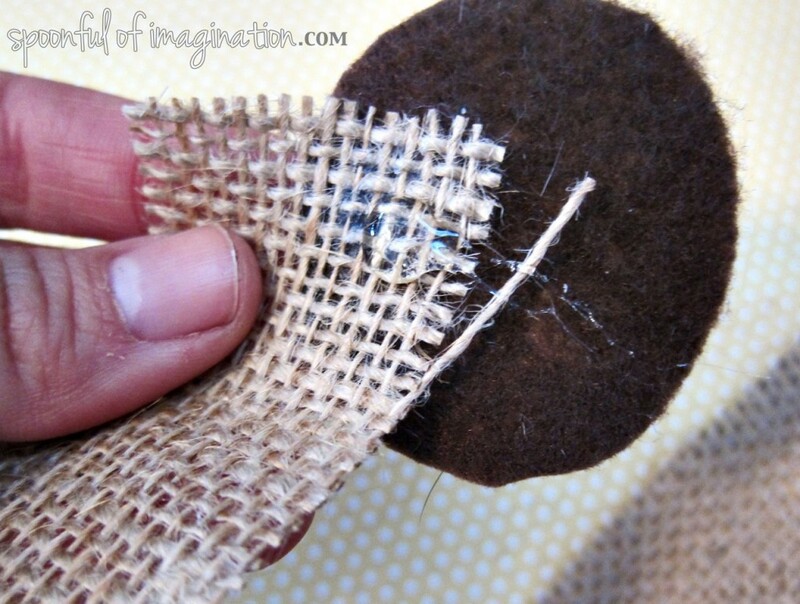 The ridges in the burlap allow the hot glue to seep through and some of it catches onto the bottom felt. That is good enough for now. 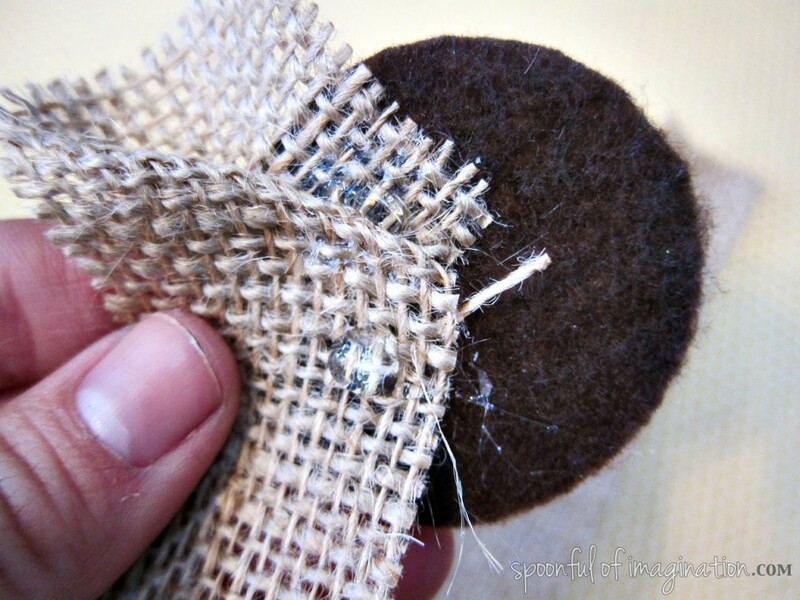 I will show you when to add more glue to make sure the burlap ruffles are tightly attached to the felt circle in a minute. 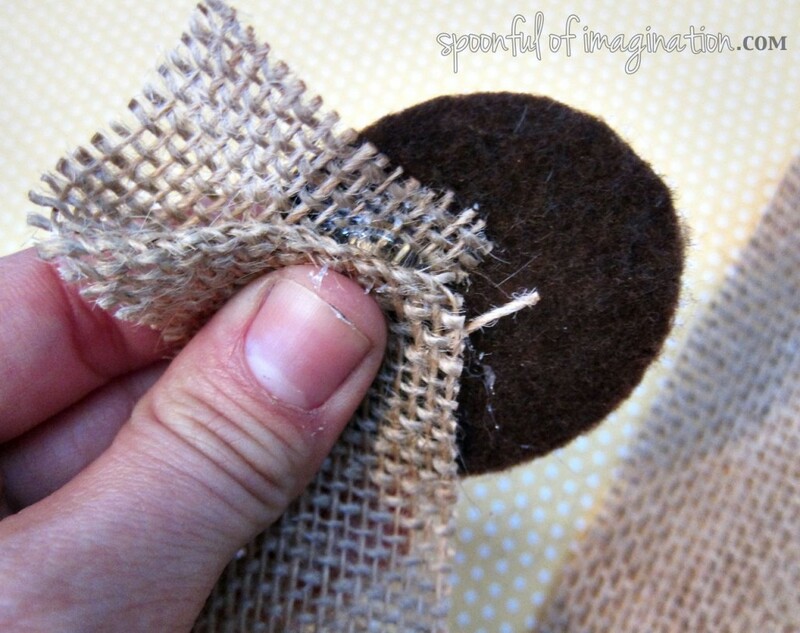 Once you are back at the beginning of your felt circle, you cut off the extra burlap. You now have the rough base of your hair bow. I like to add feathers here to start the embellishing fun stuff. Lift up the edge of your burlap. There should be a flap of felt left open to attach your embellishments. 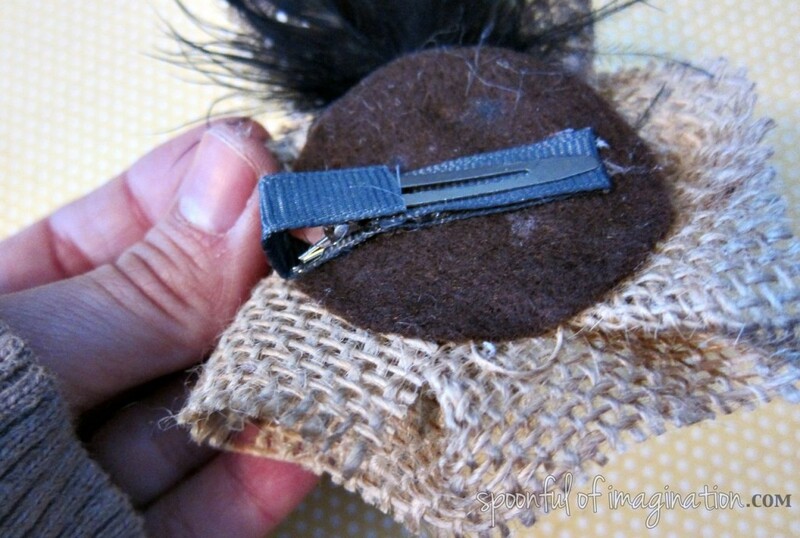 Add a glob of glue on the felt and stick a feather (or a few) into the glue. Press it for several seconds. At this point, you might realize that during this “pressing” part of hot gluing the burlap, you fingers can get burned. ouch. I’ve been doing this for years and have just kinda gotten used to it. Silly, I know! You could certainly find some good gloves at Home Depot to avoid the burns. Now, after the feathers had set, I went back and added more glue under the edge of my burlap ruffles onto the felt to make sure they were good and sealed on the felt. I don’t want my hair bow to fall apart, so I am OCD with my glue. I wanted to add more texture and depth to my hair bow, so I actually cut one of my 1″ strips in half and did the same ruffle steps on top of my current burlap ruffles to add another layer of ruffles for this hair bow. 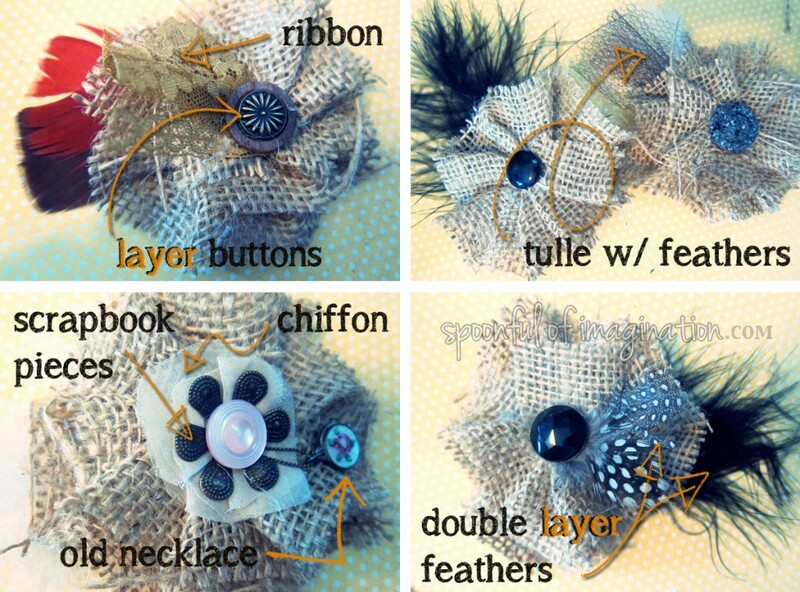 On the other hair bows (in the top picture), I also did this step with the 1″ burlap strips. It is up to you if you add this extra layer or and you can choose how wide you would like them to be. 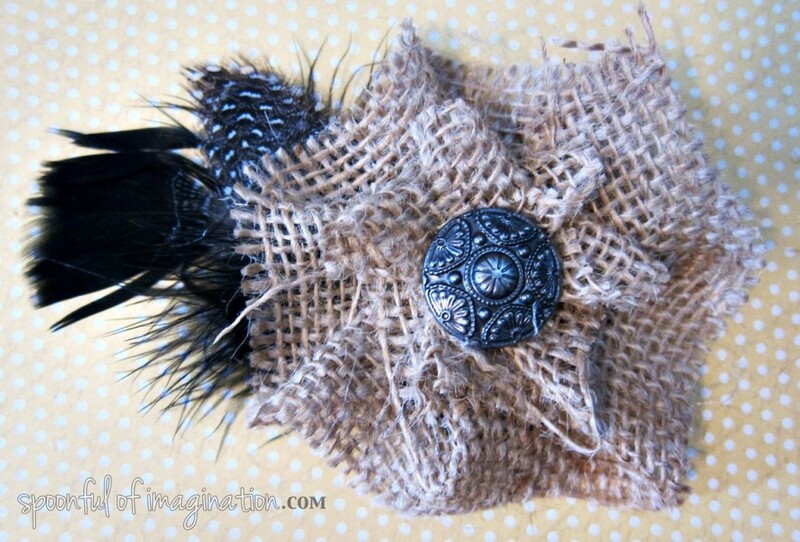 The important part is to just make sure you glue the initial edge of burlap onto the center of your hair bow. I then hot glued an alligator clip onto the back of my hair bow (that I had covered with ribbon). 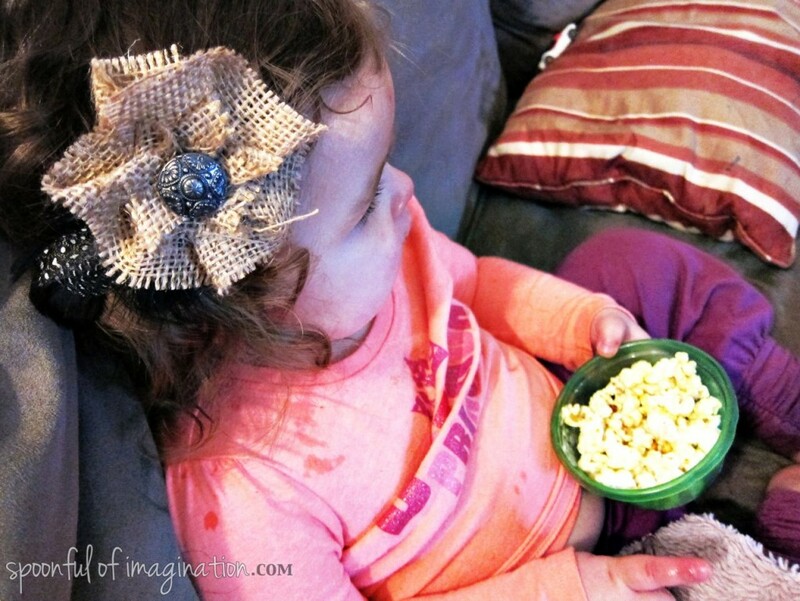 This gives the clip a strong bond to the bow while staying in your hair or attach to a headband. Since my burlap hair bow is thick with hot glue, I opted to glue my button into the center on the top (rather than try to sew it through all those layers of hot glue). And with that, the burlap hair bow is done! I am giving this one to my friend at her baby shower. I can never make just one though. So, now I have a bunch ready for my next sale. If you follow me on instagram or twitter, you get quick previews of things I am working on during the week. You may have seen some of the other types of hair bows I made this week on those two sites. Wanna see some suggestions for variations on your bows? I did slight changes to each one to make the hair bow look unique and kept me feeling creative rather than like a machine making the same thing over and over. When I make this many hair bows at once, I have a little pile of small ribbon, fabric, buttons, scrap-book embellishments, and other odds and ends next to me. I simply start playing and adding something here and there. Usually adding one element (like a shiny black button) will make that hair bow seem fancier, so I add other things to keep it fancy (like black feathers). If I add a duller wood type bead, that hair bow takes on a more vintage, rustic persona and I keep to that feel by adding duller ribbon and funnier feathers (like burnt orange) as well. My little girl has not been feeling well this week, so this is the best model shot I could get out of her. You can see the hair bow size and how we like to wear it on the side. I absolutely love how each hair bow can be different, if we just add a little imagination to the base format. 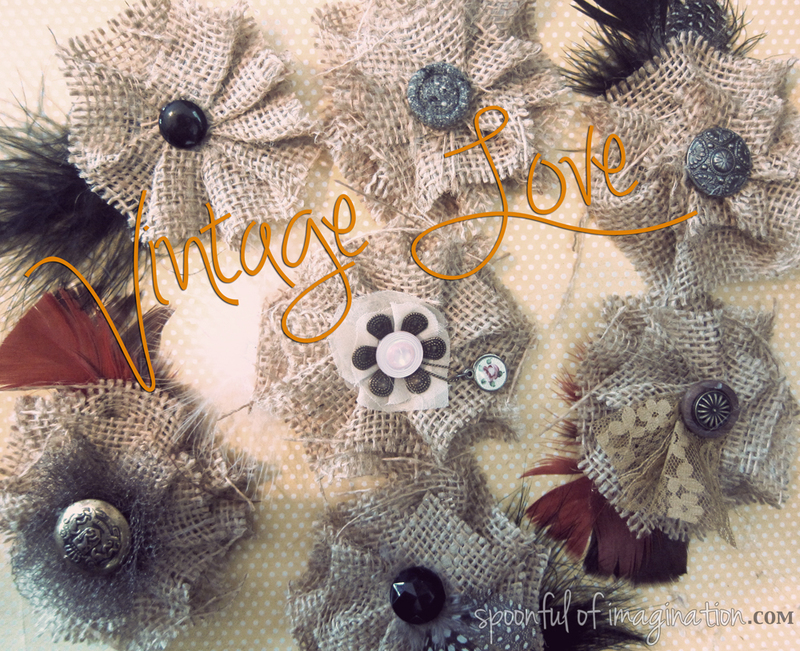 I hope you will feel like hair bows can be simple and that you can make one now and use some of that scrap burlap from your other projects. Thank you so much for stopping by! Let’s get the link party started! Have you made a kid related craft this week too? I would love to check out your All About the Kids post. Please link them up! Beautiful work, and so darling. What a creative project. 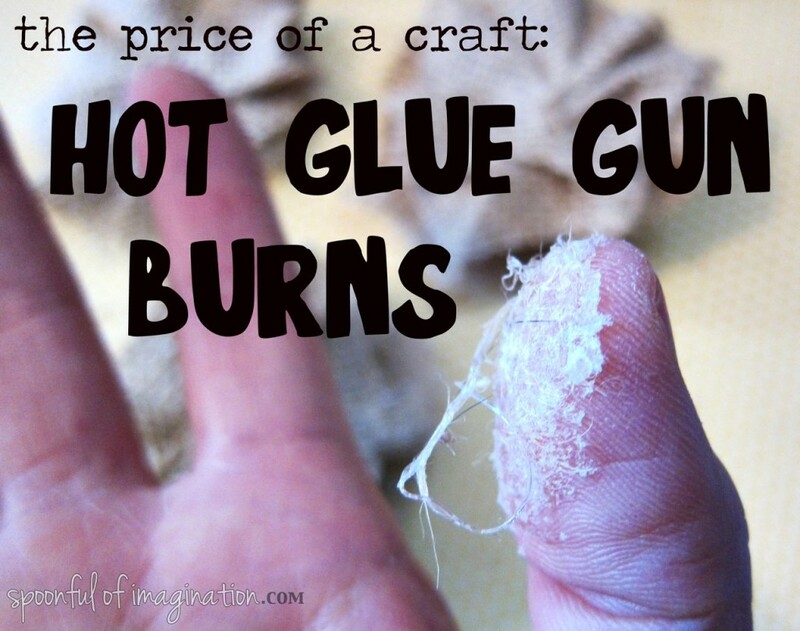 Thank you so much for posting and keep you sweet fingers from burning with Hot Glue. I know I’ve done it a thousand times too, just to easy to work with my hands LOL. The burlap trend is big right now and among my personal favorites. 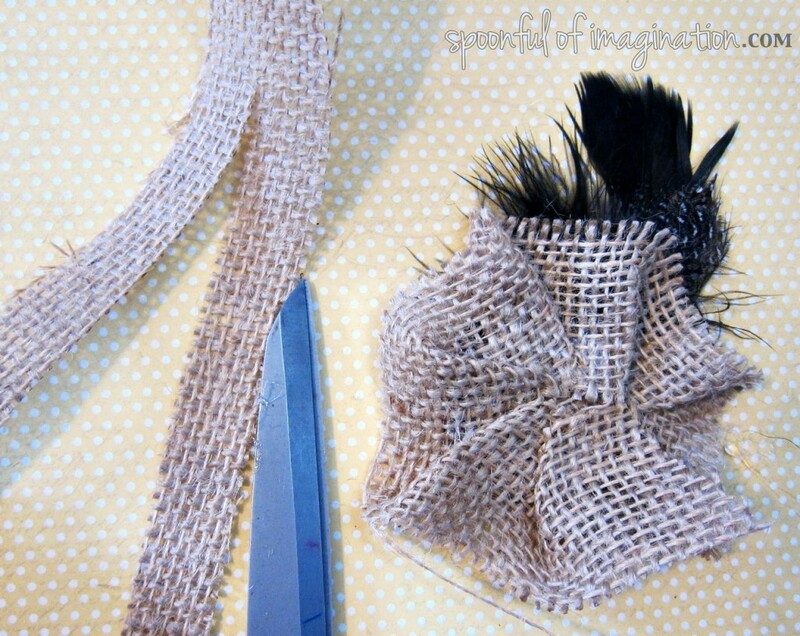 Today I’m going to walk you through some DIY burlap hair bows. I enjoy how even after you “master” making one style, you certainly can do small changes to make several of those hair bows all distinctive from one another. 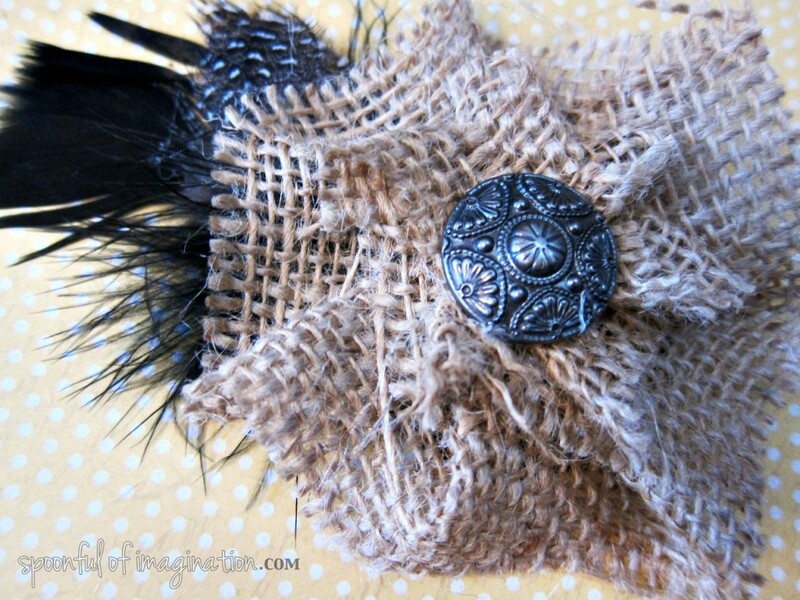 As an example, these burlap hair bows are all created using the exact same method, nevertheless the finishing elements gives each one a different look. Read more about it here!